On Sunday, April 6 at 9 p.m., "Game of Thrones" returns for its ten-episode fourth season. We now have the titles and descriptions for April's episodes as well as who will be returning and who will be new to the realm. The following description sums up what season four has in store for us and according to the trailers we've been given, revenge and a lust for power is on tap. Encouraged by the Red Wedding slaughter in the Riverlands that wiped out many of their Stark nemeses, the Lannisters’ hold on the Iron Throne remains intact…but can they survive their own egos, as well as new and ongoing threats from the south, north and east? While an unbowed Stannis Baratheon continues to rebuild his army in Dragonstone, a more immediate danger comes from the south, as Oberyn Martell, the Lannister-loathing “Red Viper of Dorne,” arrives at King’s Landing to attend Joffrey’s wedding to Margaery Tyrell, and perhaps act on an ulterior agenda. In the north, a depleted Night’s Watch seems overmatched against the inexorable Wall advances of Mance Rayder’s army of wildlings, which in turn is being trailed by an even more formidable foe: the undead White Walkers. As if that weren’t enough, Daenerys Targaryen, accompanied by her menacing trio of dragons and army of Unsullied, is poised to liberate Meereen, the largest city in Slaver’s Bay, which could ultimately provide her with enough ships to sail to Westeros and reclaim the Iron Throne. 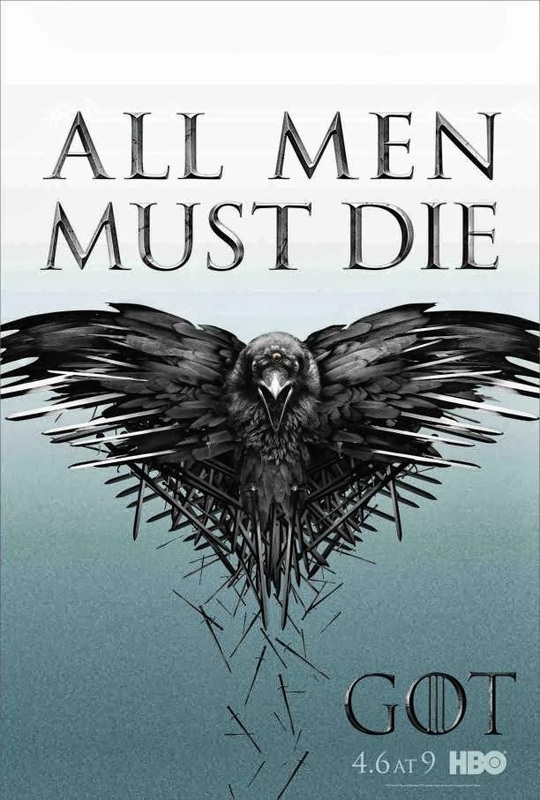 Our favorites are returning for season four (unless, of course, they were slaughtered) including; Peter Dinklage (Tyrion Lannister), Nikolaj Coster-Waldau (Jaime Lannister), Lena Headey (Cersei Lannister), Emilia Clarke (Daenerys Targaryen), Charles Dance (Tywin Lannister), Aidan Gillen (Petyr “Littlefinger” Baelish), Jack Gleeson (Joffrey Baratheon), Kit Harington (Jon Snow), Diana Rigg (Lady Olenna Tyrell), Sophie Turner (Sansa Stark), Maisie Williams (Arya Stark) and Isaac Hempstead Wright (Bran Stark). Several new cast members are joining the season as well: Pedro Pascal (Oberyn Martell), Indira Varma (Ellaria Sand, Oberyn’s paramour), Roger Ashton-Griffiths (Lord Mace Tyrell), Michiel Huisman (Daario Naharis, a mercenary ally to Daenerys), Yuri Kolokolnikov (Styr, a wildlings chief) and Hafþór Júlíus Björnsson (Ser Gregor Clegane, a.k.a. “The Mountain”). Written by David Benioff & D. B. Weiss; directed by D. B. Weiss. Written by George R.R. Martin; directed by Alex Graves. Written by Bryan Cogman; directed by Michelle MacLaren.